We produce many other types of assemblies that are peculiar to individual customers. 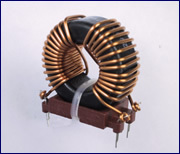 Including, Air wound self-supporting coils, Rod cores, Laminated assemblies and Dumbbell cores. Types: ETD, EFD, EE, EF, EC, EP. We produce varied and diverse windings, using, Litz wire, Silk covered Litz wire, Tex wire, Foil and other types of winding materials, in addition to most standard, and some non-standard Sizes of AWG, SWG, and Metric wire gauges.